In this series of illuminating interviews we’re hearing from Todd Ristau, Program Director of the Playwright’s Lab at Hollins University in Roanoke, VA; Duane Kelly, a Seattle playwright who has self-produced two plays in the last two years, and has a second professional production of one of those plays this year; and Donna Hoke, widely-produced and frequently awarded playwright in Buffalo, NY, on their thoughts on the value of an MFA in playwriting. Second in our series is Duane Kelly who shares an intriguing alternative to pursuing an MFA. Margaret O’Donnell (MOD): Did you ever consider getting an MFA? How might it have changed your approach to playwriting? Duane Kelly (DK): I never really considered an MFA program for myself. If I were a younger aspiring playwright and considering a two-year MFA program (estimated tuition $30,000), I think I could learn more by investing $5,000-$10,000 in self-producing one full-length play. For example, taking the play from early draft through development and rewriting phase (say three-four months) through producing—finding a venue; hiring a director, designers, actors; design process; rehearsals; closely observing the audience reaction (say another three-four months). One might learn more and become a better writer faster by investing $10,000 in one year of self-producing than spending $15,000 for one year of an MFA program. As for myself, I went to grad school in English Literature at the UW 40+ years ago and have never seriously considered taking an MFA writing program. After co-founding Red Rover Theatre Company with John Davenport, I have in the last two years self-produced two new full-length plays. 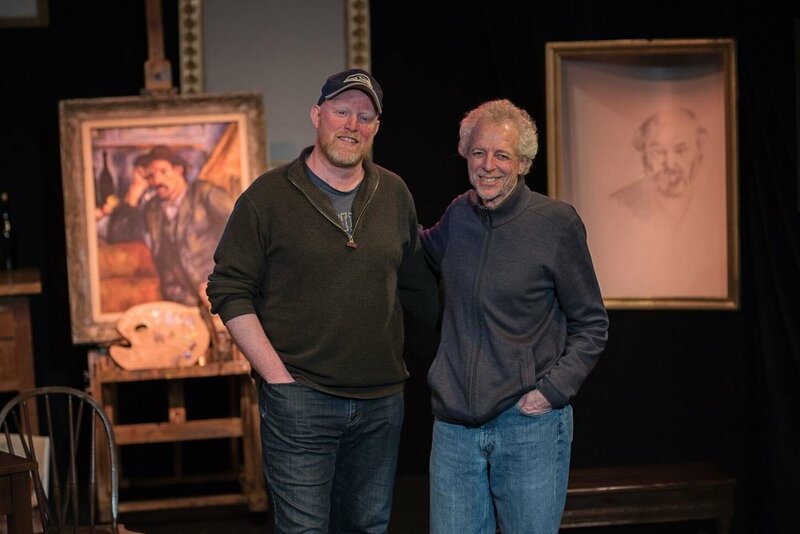 One of them, Visiting Cezanne, is receiving a second professional production (opens Feb. 15, 2019) ) at the Burien Actor’s Theater. I am planning to self-produce a third new full-length this fall in Seattle, under the Red Rover umbrella.